A human-centered design toolkit for the development of demand generation materials. Chlorhexidine, a low-cost antiseptic, has been recognized to have the potential to drive significant reductions in neonatal mortality. If applied to the umbilical cord in high-risk settings at the time of birth, Chlorhexidine, on average, results in a 68% reduction in severe infection and a 23% reduction in all-cause neonatal mortality. In addition to being highly effective in high-risk settings, Chlorhexidine is simple to use, safe, easy to manufacture, and affordable. This project looked at how to support the development and adaptation of tools to drive demand of chlorhexidine for umbilical cord care. This work uses Nigeria, a country which in 2016 is in the midst of its own chlorhexidine scale-up efforts, to explore the barriers and opportunities related to this behavior change. Output includes recommendations, concepts, tools, and templates to be shared with Nigeria, as well as other countries, introducing or scaling chlorhexidine. The output provides Federal Ministries of Health, State Ministries of Health, partner organizations, and other groups a starting place to think about the challenge and a head start on developing tools to address driving demand for chlorhexidine (CHX). I’ve never heard of chlorhexidine. We recommend methylated spirits. 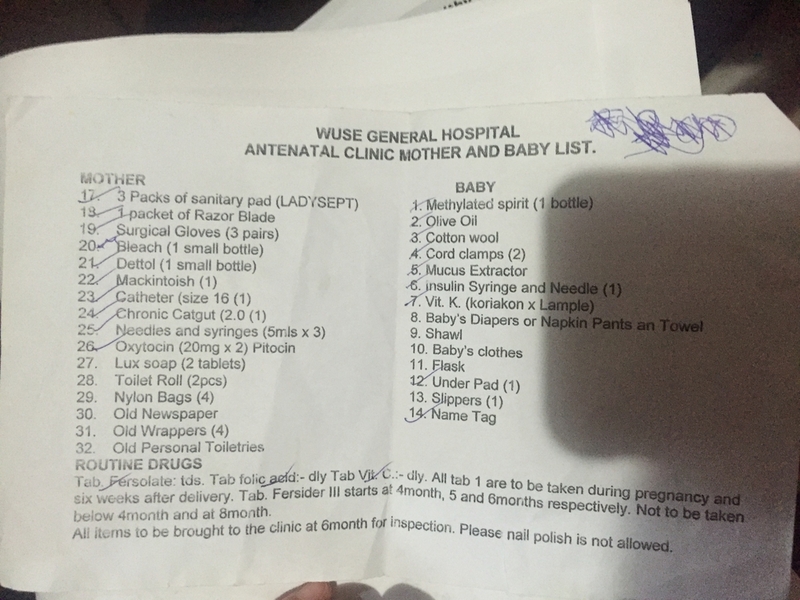 For this project, we interviewed mothers, visited homes and antenatal clinics, held community and professional workshops, visited drug shops, and shadowed birth attendants to understand the issues and concerns informing decisions about what substances to put on the umbilical cord stump. Insights from these activities informed our concepts. At each stage, we solicited additional feedback from the people, communities, and collaborators we were engaging with through rapid prototyping. To establish a baseline understanding, we built on the previous chlorhexidine scale-up strategy work conducted by the Ministry of Health and spoke with key stakeholders to understand Nigerian birth practices, the mother’s experience, the communities’ context, and the role of different organizations in health behavior change. This input informed the Nigerian birthing ecosystem map and research approach for the next phase. To understand existing needs and behavior, we visited communities and spoke with and observed mothers, families, birth attendants, chemists, community leaders, religious leaders, and antenatal clinic personnel. We synthesized our observations into insights about the barriers and opportunities in driving greater adoption and use of chlorhexidine. Current cord care practices are deeply entrenched in history and culture. People talked about expecting the cord to have fallen off by the naming ceremony, in some places 7 days after birth. People measure umbilical cord health with how quickly the stump dries and falls off. People struggled to see their experiences with newborn illness and death as related to infection via the cord. While chemists can serve as de facto health providers, their purchasing decisions are as much influenced by sales as by clinical efficacy. Traditional birth attendants play an important social and emotional role in childbirth but their recognition and training varies significantly by state. Delivery lists and the opinions of others close to the mother greatly influence which products are present at birth. To translate these opportunities into initial concepts, we held five workshops: one in New York and four in Nigeria. Together, we generated and voted on concepts, constructed rapid prototypes of promising ideas, and then took these ideas into communities to share with people, gather feedback, and inspire new concepts directly with our end-users. The toolkit has two parts: the guide which provides details about the concepts and how they were developed and an asset library which includes images and editable templates. These files provide a starting point for adapting the concepts in this guide or building your own. We hope this combination makes it easier to create sample versions that can be shared with stakeholders and the communities you serve.